As part of a wider research program, a five-year study by Professor Barry Smit of the University of Guelph, Canada has revealed how climate change is altering the diets and lifestyles of the Inuit people in the Arctic. Professor Smit led research projects into the ways that melting ice and wildlife habitat changes are impacting on the lives and livelihoods of communities in the far north. 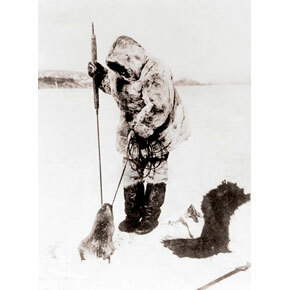 The most salient findings were; the increasing difficulty in hunting for traditional food because knowledge on safe routes across the ice is no longer reliable because of breaking and shifting ice; and the changing migratory patterns of animals such as seals, walrus, types of whales and polar bears, which form a large part of the Inuit diet. The traditional Inuit diet is almost exclusively raw meat which is very healthy, but an important finding has been that the difficulty in hunting was leading to more junk food being consumed by the Inuit leading to greater teeth problems and obesity. Looking ahead over the next couple of decades, the transformation in the Inuit lifestyle will be huge and it is likely that they will have to modify their way of life completely. operating over different spatial-temporal scales. The majority of participants of the study reported experiencing reduced access, availability, and quality of food in the previous year. They also expressed feelings of anxiety concerning food on a regular basis, reporting not having enough to eat at least once in the previous year. However, the future may hold new prospects and even though climate change poses many challenges for the food security of the Inuit people there will also be new opportunities. For instance open water fishing and hunting, new species availability, and improved ship access, due to the melting ice, may moderate negative consequences of climate change, if the necessary support is in place and the Inuit people are fully involved in decision-making. Click here to read Ford, J.D. and Beaumier, M., 2011, Feeding the family during times of stress: experience and determinants of food insecurity in an Inuit community, The Geographical Journal. 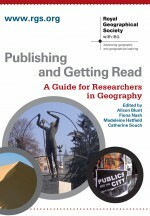 This entry was posted in The Geographical Journal and tagged Beaumier, Climate change, Cultural Geography, Environment and Society, food security, Ford, Inuit, Professor Smit on January 18, 2011 by Inselberg. I am a graduate from Staffordshire University with a First Class BSc Hons Geography degree and from Ulster University with an MSc (Distinction) in Coastal Managenment. At the moment I am a full time carer for my mum and about to start a further MSc in Equine Science at Edinburgh University.